Dangwimsai Pul, wife of the late Arunachal Chief Minister Kalikho Pul, on Tuesday asked Vice-President M Hamid Ansari to set up an SIT probe into the allegations levelled by her husband before committing suicide on August 9, 2016, against sitting and retired judges of Supreme Court, politicians and lawyers. A delegation of eminent lawyers and activists, including Prashant Bhushan, Harsh Mander, Yogendra Yadav, Anjali Bhardwaj and others, accompanied Pul. The Vice President Secretariat has clarified that Smt. Dangwimsai Pul has not met the Vice President of India, as appeared in some print and on-line media. “Our attention has been drawn to a news item appearing in some print and on-line media regarding Smt. Dangwimsai Pul having met Hon’ble Vice President of India. In her five-page letter to Ansari, Pul referred to her husband’s 60-page suicide note written in Hindi and also the inquest report by Additional District Magistrate of Itanagar. He was under depression after his removal from the CM post, she claimed. In July last year, a Constitution Bench of Supreme Court headed by Justice JS Khehar, now CJI, on hearing a petition over the political development in Arunachal Pradesh , had removed him from the post of CM and reinstated Congress Chief Minister Nabam Tuki in the state. “The note titled - Mere Vichaar - briefly details his life history and thereafter shows his anguish about the state of affairs in politics and judiciary in the country. He details several allegations of corruption against politicians and judges from his personal knowledge”. Since the issue involves the senior most judges of the Supreme Court, to protect the independence of the judiciary, it should not be investigated by any investigative body controlled by the government; she said and sought to set up a Special Investigation Team (SIT) to probe the allegation. According to the letter, as per the apex court’s Veeraswami judgment, since the allegations are against the senior most Judges and also President of India, the Vice-President should consult other apex court judges other than the CJI and second senior-most judge, and set up an SIT to probe into the allegations. “It was to protect the independence of the judiciary that the Supreme Court in Veeraswami’s case said any allegations against the sitting judges of the higher judiciary can only be investigated by an investigating authority after obtaining the prior permission of the Chief Justice of India,” the letter said. She said a serious cloud of suspicion will continue to remain over the politicians and judges whose names were mentioned in the suicide note. “This would be most unfortunate for our democracy as well as for the judiciary. A credible investigation in this matter can only be done by an SIT constituted by 3/5 judges next in seniority to the judges named in the note,” she said. 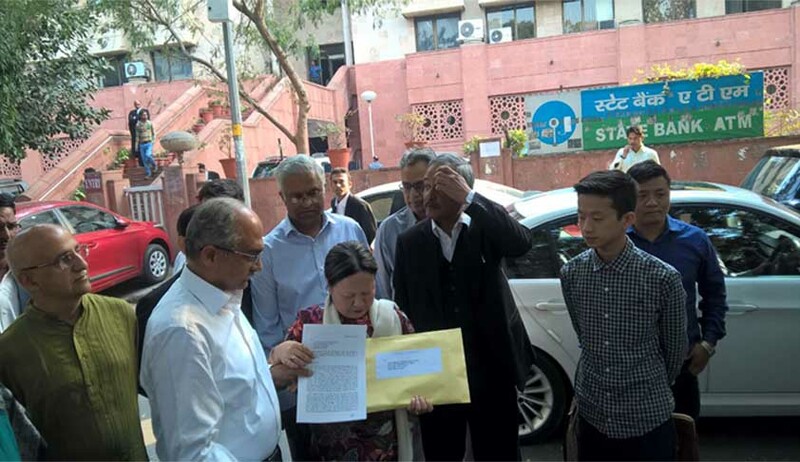 Last week, Pul had withdrawn the letter which she had sent it to the CJI after it was converted into a petition and listed for hearing before a two-judge bench comprising Justice Adarsh Kumar Goel and Justice UU Lalit. When the matter came up for hearing, her lawyer Dushyan Dave objected to the listing of the matter in judicial side. “We had filed the plea on the administrative side and not on the judicial side. If your lordships insist on hearing it, we will not participate in it and we wish to withdraw,” Dave said, citing the Veeraswamy judgment in his support. Following it, the bench allowed Dave to withdraw the letter to CJI and the petition.